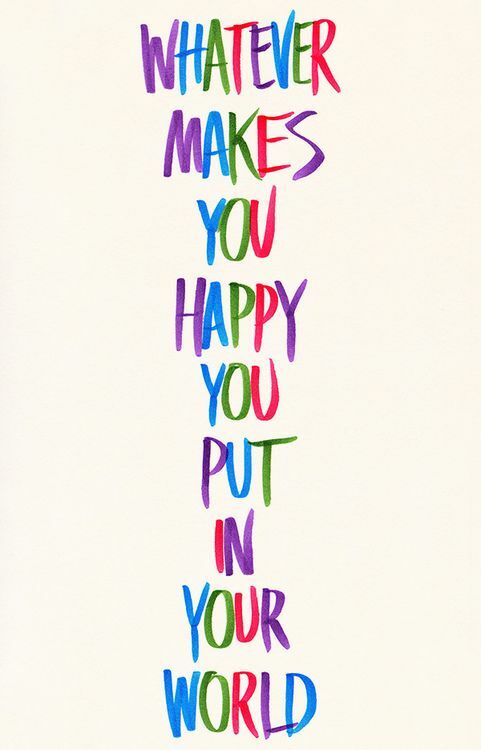 I Agree, Whatever Makes You Happy You Put in Your World! Chocolate Long John! 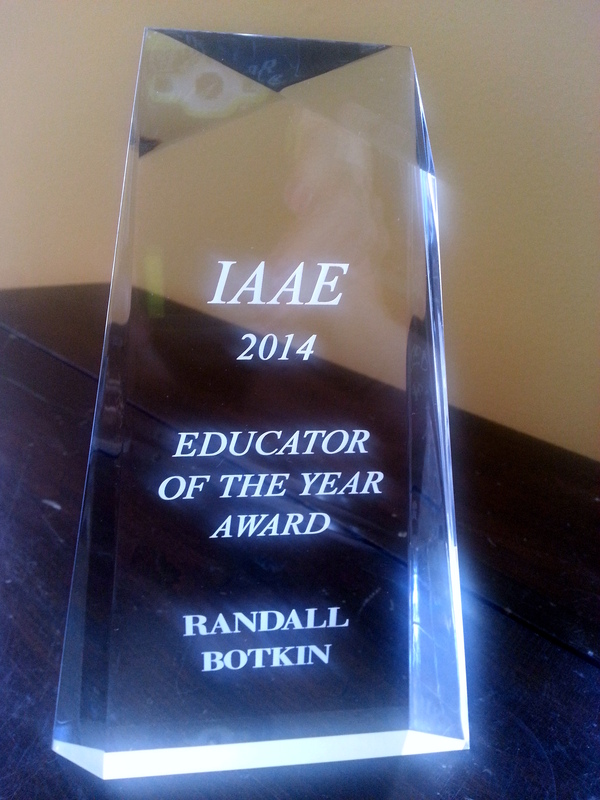 As I wrote about last week, Randy received the 2015 Alternative Educator of the Year! At the April 21, 2015 Des Moines Public School District Board Meeting he received recognition. Randy endured quite a bit of silliness and a lot of congratulations from his co-workers at Scavo High School about this “award” but all in all, be proud Mr. Botkin! Here’s the letter announcing the news: Scavo Teacher Named Alternative Educator of the Year. The plaque he received has the wrong year! I’ve written about this before because it’s exciting! Randy will be engaging much more when school begins again this Fall 2015 (I know I know, school is almost out for this school year, why talk about restarting it already) as Scavo’s work experience coordinator! This will be great for him, after 22 years in a classroom (not that he’s ditching a classroom nor teaching, this is more of a melding of his skills to help his students). Randy has taught many different subjects, ranging from baking (I remember those yummy strawberry pies), to parenting (he’s a natural!) to history (his cup of tea), and algebra too (ahh, no comment)! I remember one year he taught wood shop. We still have a bench he made which is ironic because he’s not very good at cutting a straight line! Sorry guy! Just the truth! I’m a Cup of Tea Alright! Whatever Makes You Happy You Put In Your World! Randy and his students used to take orders twice a month (this was several years ago) for 10 dozen school-baked cookies for the Des Moines School Board meetings. Two dozen a piece he reminds me: of chocolate chip, oatmeal raisin, sugar, peanut butter and ? oops I forgot! Macaroons? Are macaroons too difficult to teach teens how to bake? I’ve never made them. During those days Randy and all his fellow BD educators and staff members taught here, at the original Casady building on 16th! 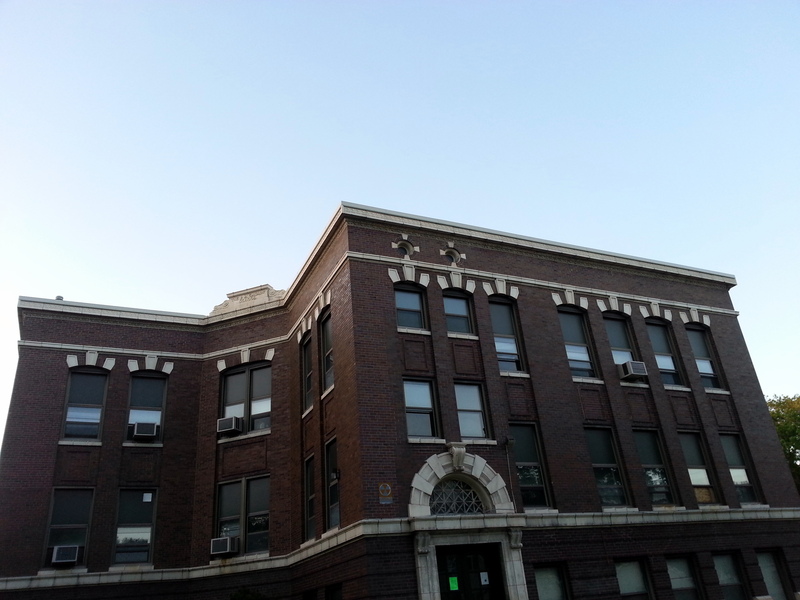 The Casady Building, built in 1905, was demolished a month or so after I took this shot June 12, 2013! Another new source of happiness for our daughter Arin lies in her employment. She is now working at Zombie Burger as a host. She continues at the Des Moines Library, too! AJ has wanted to work at this popular restaurant (there was a 2 hour wait this Saturday, even in the rain) for a long time! After putting her two weeks’ notice from Walgreen’s in, she started a couple of weeks ago. I am so proud of my daughter’s work ethic! Ah heck, everyone in my families! Arin has said to me about both her jobs “I Really Love What I Do…. !” Why Do You Do Your Work? You too may be in love! ; ) Long Johns are delicious, yet tooo much sugar for me. It’d take a couple days to eat it all, but I would! Waste Not, Want Not! Jake continues at Jimmy John’s. He’s been there quite a while now (update: as of 9/2018 he still is). I think it is interesting that one of this establishment’s HR policies is that workers have to cover their tattoos (update as of 5/2016 the company changed their policy!). Yes, long sleeves in the hot summer to deliver food to people who just might be showing their tattoos. I think it is ridiculous! Don’t get me wrong, I don’t have any tattoos…yet? ; ) but all three of our kids sure do (update: my mother got a tattoo for her 80th birthday! ), my sister jANICE does and many other people who are artistic, for sure! It’s body art alright and Jake enjoys designing tattoos and has considered becoming a tattoo artist! He is very talented at drawing! Back to working on a presentation project for my work! Please let me know what I might do to help you with a sticky employment situation! Stayed tuned for the future Part 2 of Whatever Makes You Happy Put In Your World! Previous Previous post: Congrats to the 2015 Alternative Educator of the Year! Next Next post: Pops is Tops! Thank You for all your Hard Work in Alernative Education!